This looks SO SO SO SO good! I’m not just saying that either, to leave a nice blog comment. Seriously! Photos are awesome. And recipe YUM! Thanks so much, Haley, and thank you for the nice comment all the same! It is so delicious. 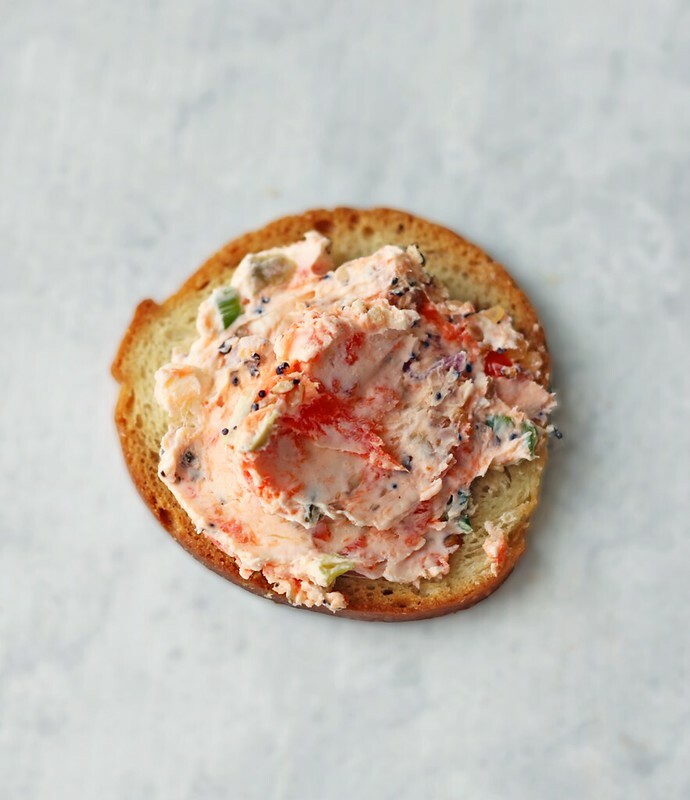 I lean heavily toward the salty and the savory in my snacking, so this hits it out of the park for me. Let me know if you try it! 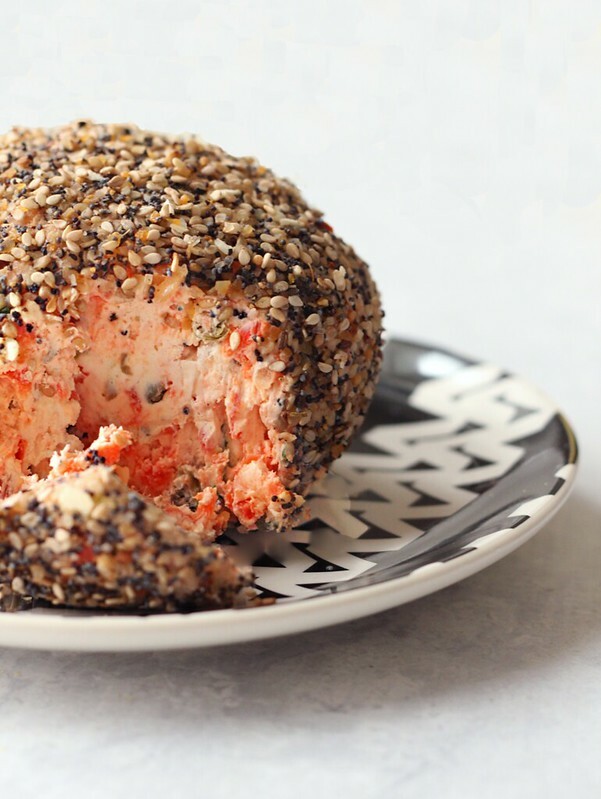 Loving everything about this cheese ball.. especially that you’ve added salmon as I haven’t seen a cheese ball recipe with it before. 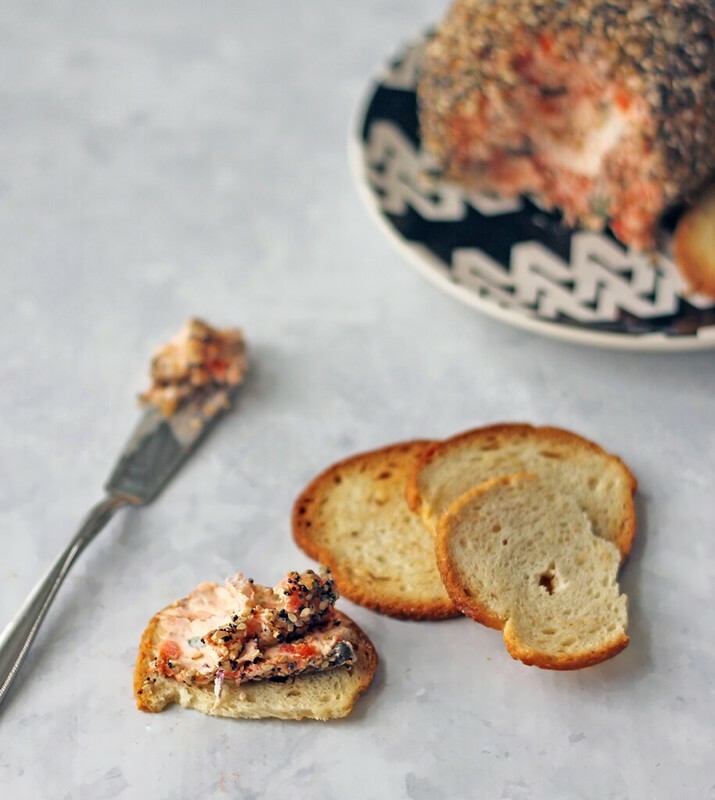 I have to make this recipe! 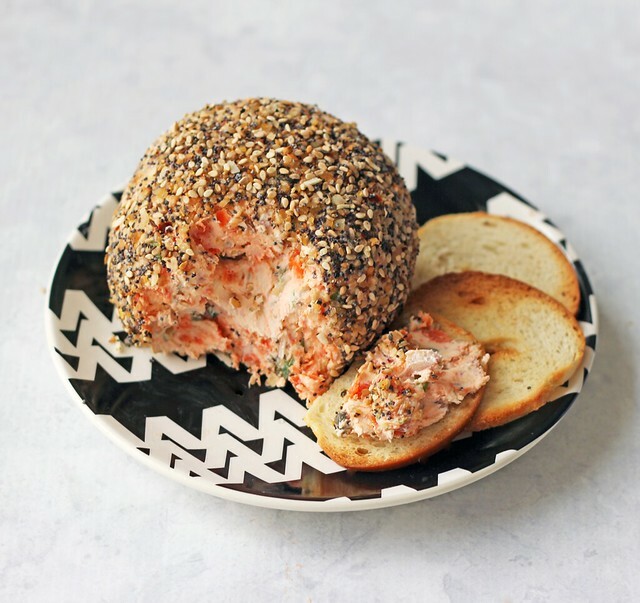 You know, when I thought it up, I went to Google right away because I figured someone had done a play on bagels & lox already – it’s such a natural pairing – and I was shocked that I couldn’t find a recipe. 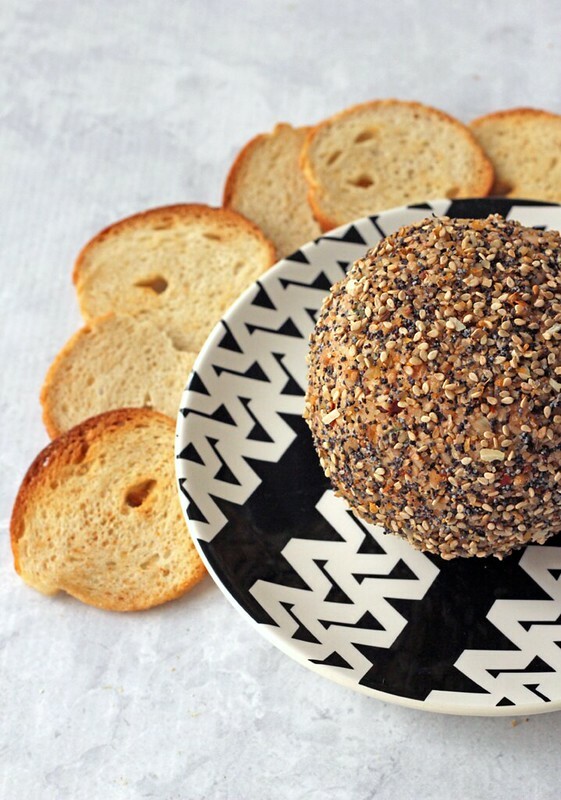 This is such a fun cheese ball because it tastes so very much like a bite of well-dressed bagel, but in spreadable form. So delish! Let me know it turns out for you.